This is an update to the ongoing progress with 3D-printed weapons. The eyes of the world are on the rapidly developing innovation of 3D printing. Naturally, whenever a new technology is created that offers open-source DIY opportunities to the average individual, it is going to make governments and their protected corporate interests very nervous. Such is the case with 3D weapons manufacturing. Defense Distributed has led the way with their innovations, sparking others to provide their own offerings. Their progress, as well as their subsequent hindering by the US Department of Defense Trade Controls, has been documented by a series of video updates below. By achieving multiple shots without reloading, this design is the world’s first documented repeating firearm printed with a consumer-grade printer. Please view additional details as well as test fire below. NOTE: As you will see throughout this chronicle, a good number of videos have been removed from YouTube. We will continue to search for new versions of the ones that have been removed. If you have those links available, please leave them in the comments section and we will add them in. The open-source nature of 3D printing is indeed poised to render anti-gun legislation obsolete. For those who believe that 3D printing can be restricted, futurist and a director of engineering at Google, Ray Kurzweil, recently noted that it will soon be possible to print an entire 3D printer from a 3D printer, at a very low cost … globally. Then what? Previous Update: Could This Bullet Revolutionize 3D-Printed Guns? As you can see from the information thus far, a key issue that still needs to be addressed is the stability of 3D-printed weapons. Progress has been made, but fundamental flaws remain. Michael Crumling believes that he can contribute to resolving the current limitations of 3D-printed weapons – not by designing a better gun, but by designing proper ammunition that will inherently relieve the stress put upon the weapon. His ammunition uses a thicker steel shell with a lead bullet inserted an inch inside, deep enough that the shell can contain the explosion of the round’s gunpowder instead of transferring that force to the plastic body or barrel of the gun. Crumling says that allows a home-printed firearm made from even the cheapest materials to be fired again and again without cracking or deformation. And while his design isn’t easily replicated because the rounds must be individually machined for now, it may represent another step towards durable, practical, printed guns—even semi-automatic ones. Perhaps most exciting is that Crumling produced his test weapon on a $400 Printrbot. While some modifications were necessary, and the ammunition is time consuming to produce, he appears to have ushered in the next round of improvements that can help lay to rest core safety issues that are preventing 3D weapons from flourishing even further. His ammunition design for the .314 Atlas rounds is available on his website HERE. So far all 3D guns have been produced from composite materials, which has led to instability in real-world firing situations. The company Solid Concepts has now released a stunning metal gun modeled after the .45 caliber M1911 pistol. The gun was produced on a state-of-the-art industrial printer, which makes the cost of the M1911 3D printed weapon slightly prohibitive, but as we have seen with technology, it shouldn’t be long before high-tech and cost effectiveness merge. Various versions of pistols and rifles have already been printed and successfully test fired. So far, “The Grizzly” pistol has managed to get off 14 single shots. Now, designer Proteus has uploaded their files for a semi-automatic pistol to Defcad.com and Fosscad Twitter. Specs are offered below. The barrel uses an insert around the case, but then the rest of it has a plastic bore, which means it is pre-rifled and therefore complies with the ATF. Magazines available in 10 and 30 round versions. NOTE, although they are based off of 10/22 magazines, they MUST be printed as they contain a built in mag-catch and will NOT work in a 10/22 rifle. Credit to nilsson for original 10/22 magazine design and Shanrilivan for the part of the frame that holds the FCG, which was derived from the Charon v3.0. Suggestions are welcome, testers even more so. Legal difficulties aside, progress continues. The Lulz Liberator built upon the work of Defense Distributed and entered into the 3D handgun market as the cheapest yet produced at just $25. A prototype for the first fully 3D printed rifle followed. Now, just a short while later, “The Grizzly” is moving a bit closer to being worthy of the name modeled after the Canadian-built Sherman Tanks of WWII. The meaning of “dangerous” becomes debatable. If by dangerous they mean open-source self-defense for all, thus empowering responsible individuals to protect themselves against criminals and a rogue government … then, yes, dangerous indeed. The latest demo from the creator shows solid improvement, increasing to 14 shots of Winchester Dynapoints from just 1 in the first video they posted. According to creator ThreeD Ukulele, files will be available soon for download. Please read the chronicle below to understand the pitched battle between those who desire freedom and the regulators who would have us believe that this technology is a slippery slope down the path to utter anarchy. Similar to the original Liberator, it didn’t last long: the barrel and receiver both split after one shot. Not quite a Sherman Tank, yet. However, it does indicate slight progress and, perhaps more importantly, that the open-source nature of WikiWeapons will continue spurring interest and further development. Its fragility isn’t surprising given that the rifle is made from the same quality of plastic, but as seen in the Lulz Liberator it’s no more difficult to print in tougher materials. And with laser sintering patents expiring soon, the material toughness available to household skunkworks will be going up exponentially. Once printing in metal is affordable — and it will happen soon — this burgeoning DIY “defense” industry will explode. Pun intended. However, it didn’t take long for the State Department to demand that Defense Distributed had to remove the blueprints from its website. Nevertheless, the genie was already out of the bottle with tens of thousands of downloads already registered, and many sites continuing to offer the product. Now, just a couple of weeks later, two Wisconsin engineers are showing that not only is a 3D-printed handgun a viable alternative, it can be produced at a significant reduction in price, perhaps creating a new challenge to regulators who do not wish to see widespread access to the technology. Additional report and video below…. One evening late last week, a Wisconsin engineer who calls himself “Joe” test-fired a new version of that handgun printed on a $1,725 Lulzbot A0-101 consumer-grade 3D printer, far cheaper than the one used by Defense Distributed. Joe, who asked that I not reveal his full name, loaded the weapon with .380 caliber rounds and fired it nine times, using a string to pull its trigger for safety. Joe’s printed gun contains a few more pieces of metal hardware than the original Liberator. Rather than print plastic pins to hold the hammer in the body, for instance, he used hardware store screws. Like Defense Distributed’s gun, the Lulz Liberator also uses a metal nail for a firing pin, and includes a chunk of non-functional steel designed to make it detectable with a metal detector so that it complies with the Undetectable Firearms Act. The rifling that Joe added to the barrel is designed to skirt the National Firearms Act, which regulates improvised weapons and those with smooth-bored barrels. Although the gun produced 9 successful shots, it did misfire, which was primarily attributed to the screws weakening, as well as expansion of the ammo cartridge. Nevertheless, this is an extremely quick advancement and cost reduction in this technology and bears close watching. Wilson has previously stated that his aim was to get this technology down into the $1,000 range. It seems that the dawn of inexpensive WikiWeapons has arrived. In the wake of the State Department crackdown on Defense Distributed, the question now becomes: how to effectively release the blueprints to the masses . . . . However, Israel’s comments don’t address the fact that despite Wilson’s anarchist leanings, he has complied every step of the way, including the issue of metal detectors by adhering to current requirements. Again, from Forbes. The group added a six ounce chunk of steel into the body to make it detectable by metal detectors in order to comply with the Undetectable Firearms Act. In March, the group also obtained a federal firearms license, making it a legal gun manufacturer. So far, “the system” doesn’t have much of an answer for Defense Distributed’s inventions and the increasing demand for their latest blueprints. Wilson’s full battery of tests before officially releasing The Liberator seems to be going according to plan. BBC reporter Rebecca Morelle was on site in Austin, Texas this past Saturday. Her report can be found in the video below. This is a story about the rapid evolution of a technology that has forced the American legal system to play catch up. Cody Wilson, a 24-year-old University of Texas Law student, is an advocate for the open source production of firearms using 3D printing technology. 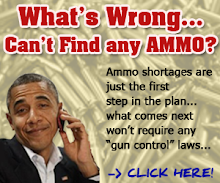 This makes him a highly controversial figure on both sides of the gun control issue. MOTHERBOARD sat down with Cody in Austin, Texas to talk about the Constitution, the legal system, and to watch him make and test-fire a 3D-printed gun. As you will read below, the corporate media has begun to focus on Defense Distributed’s founder Cody Wilson and his political views and statements in what could be the start of a serious campaign of demonization. Currently, Wilson said he will not actually begin manufacturing and selling guns until he receives an “add-on” to his FFL, known as a Class 2 Special Occupational Taxpayer (SOT), as licensed under federal law (PDF). This would allow him to manufacture and deal a broader range of firearms under the National Firearms Act. The Class 2 SOT would grant Wilson the ability to manufacture, for example, a fully-automatic rifle. Wilson applied for the SOT on Saturday and expects to receive approval within a few weeks. However, some of Cody Wilson’s previous statements, which can be read below, were directed toward specific politicians, including his brash guarantee of success in thwarting any and all gun control measures by stating “good f—ing luck.” In so doing, he seems to have drawn some ire from the mainstream media. some of its more notable efforts so far have been for medical, space and scientific projects, including helping repair broken bones and building spacecraft parts, as well as commercial efforts including athletic shoes. The implication appearing to be that 3D weapons manufacturing is not to be included in that list of beneficent uses. It remains to be seen if other mainstream outlets will follow suit and make 3D weapons out to be the next great threat to freedom, rather than one of the cornerstones of preserving it. The early media attention resulted in Wikiweapon company Stratasys, Inc. seizing Defense Distributed’s equipment and taking issue with their decentralized methods. But the genie is already out of the bottle — downloads have topped 500,000. After some initial stutter-stepping with structural failures, their latest incarnations heralds the arrival of 3D printed semi-automatic and automatic weapons. The results can be seen in part 3 of their ongoing video series chronicling their development and improvement. Over 600 rounds of .223 ammunition are fired without fail using a 3D-printed “lower” for an AR-15, with Wilson stating that it likely could have gone to 1,000. The ability for anyone to print a weapon could be one of the cornerstones for widespread freedom and resistance to top-down tyranny. Lawmakers such as Steve Israel have stated that any restrictions on 3D printing of weapons will be very difficult if not impossible to enforce, and the Justice Department has so far backed up their legality. As Tony Cartalucci has stated, it renders gun control moot; one would have to basically ban any personal use of 3D printers. Preventing people from manufacturing guns, or worse yet, from possessing or using tools that can be used to create guns, is both ludicrous and impossible. Like with cars or anything else, laws are there to ensure we don’t harm others by abusing any given right or implement – not preventing us from having those rights or implements responsibly in the first place. With the ability for anyone, anywhere to be able to defend oneself and mobilize quickly against a growing threat, governments would have to think twice before heading down the road to tyranny. Certainly the government itself has signed on to 3D manufacturing. As reported by The Singularity Hub, the Army is deploying $2.8 million fabrication labs to the frontlines as part of an overall 3-year contract with Exponent, Inc. worth $9.7 million. The intention is to make this global. While this video focuses on other aspects of 3D printing, and injects the well-worn marketing line that all of this will save lives in humanitarian efforts, to think this will not be used to produce guns and even drones would be naive, since Stratasys — the manufacturer that gave Defense Distributed such a hard time — is fully signed on to assist the military-industrial complex. However, it appears that the everyday consumer (taxpayer) will not have to wait for military tech to trickle down to offer its scraps; the benefits of 3D printing are taking on a life of their own with or without government approval. For more information about HackerSpaces, OpenCourseWare and 3D printing solutions to our political problems, visit LocalOrg. 2 Comments on "See The World’s First 3D-Printed Revolver in Action – Update"
ALL OF THESE ENDLESS ARGUMENTS ON FIREARMS ARE USELESS . WHEN YOU UNDERSTAND THE WORDING OF THE SECOND AMENDMENT AS IT WAS WRITTEN YOU WILL SEE THAT IT IS NEXT TO IMPOSSIBLE TO FOR OFFICIALS ELECTED AND UN ELECTED TO MEDDLE IN THAT AMENDMENT WITHOUT GETTING ARRESTED FOR TREASON AND OATH VIOLATIONS . THE FACT THERE IS A MAJOR AMOUNT OF PERPS STILL IN OFFICE SHOWS THE IGNORANCE OF AMERICANS . UNTIL THIS BALANCE IS RESTORED , JUST ROLL ON OVER AND BE SUBJECT TO AN OUT OF CONTROL GOVERNMENT . THE PERP LIST IS WELL KNOWN STARTING WITH THE CURRENT COMMANDER IN CHIEF ON DOWN TO THE LOCAL MILITARIZED POLICE FORCE . START WITH FAMILIARIZING YOU , YOUR FAMILY , AND YOUR COMMUNITY WITH THE CONSTITUTION AND THEN BEGIN DUMPING UN JUST , OPPRESSIVE LAWS FROM THE JURY BOX WITH JURY NULLIFICATION .